This week’s image: Winchester Fun Fair on Saturday May 26. 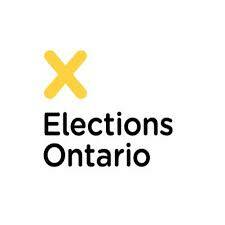 Visit the Elections Ontario website to find out where to vote, whether you’re properly registered on the voters’ list and other handy info. 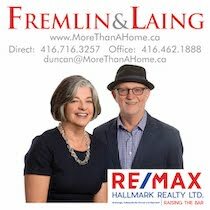 When you open the website, you’ll be asked for your postal code - it links you to all the info that you personally need. If you can’t vote during the regular poll on election day, you can still use an advance poll at the official Returning Office (60 Adelaide E Unit 400). It’s open every day until Wednesday June 6 - Monday to Saturday from 10 am to 8 pm and Sunday June 3 from noon to 5 pm. 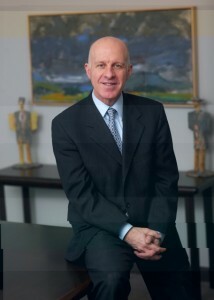 Liberal - David Morris, 527 Parliament Street, (647) 993-7466, website and Facebook. 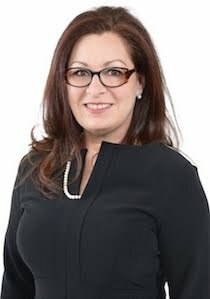 New Democrats - Suze Morrison, 194 Carlton, (647) 557-6435, website and Facebook. 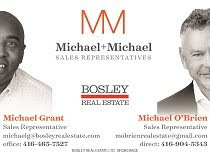 Ontario PC - Meredith Cartwright, 483 Church, (416) 929-9309, website and Facebook. 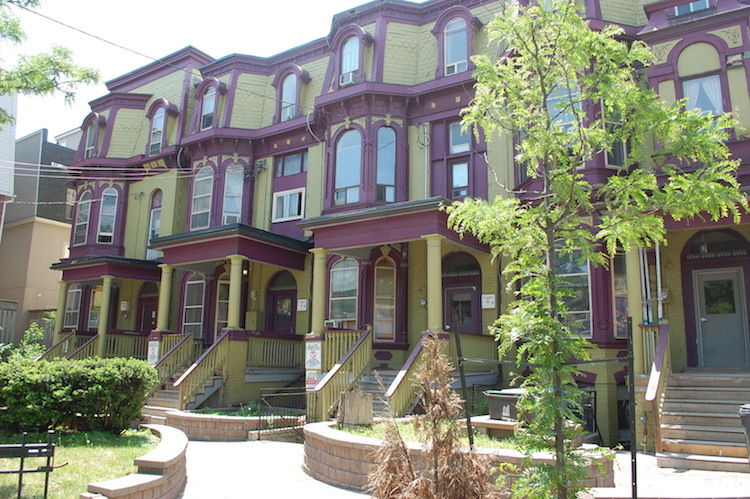 The purple and green Victorian houses (502, 504, 506 and 508 Parliament) just south of the LCBO will be renovated. 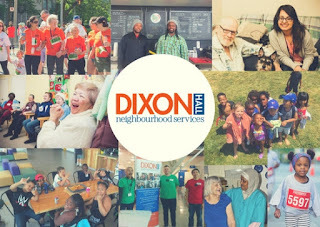 Toronto Community Housing has notified the residents that they will be relocated to nearby housing so that the buildings can be repaired. 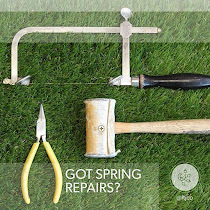 After those repairs are made, the tenants will be invited back. Management will continue with TCHC and these units will continue as affordable, subsidized housing. Please note: an earlier version of this story stated that these repairs are part of the Tenants First program and that future management would be handled by outside agencies. That is not happening. Reports about crimes from our neighbourhood are becoming more alarming. Both informal stories from residents and official police data indicate that serious crime is on the increase here. 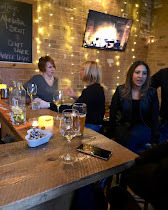 Media stories describe a shooting at Oak and Sackville in late April, another at Oak and River on May 23, two more at St James and Bleecker on May 27, four arrested near Parliament and Spruce on May 28 and the chase and lockdown at St Martin’s on May 29. The Major Crime Indicator from the Toronto Police Service shows that there have been 1,373 serious crimes reported in 51 Division so far in 2018. That’s more than the total for any of the previous three years. 752 of these have involved assaults. For a statistical analysis of events here, go to the Toronto Police Service website and select the 51 Division filter. 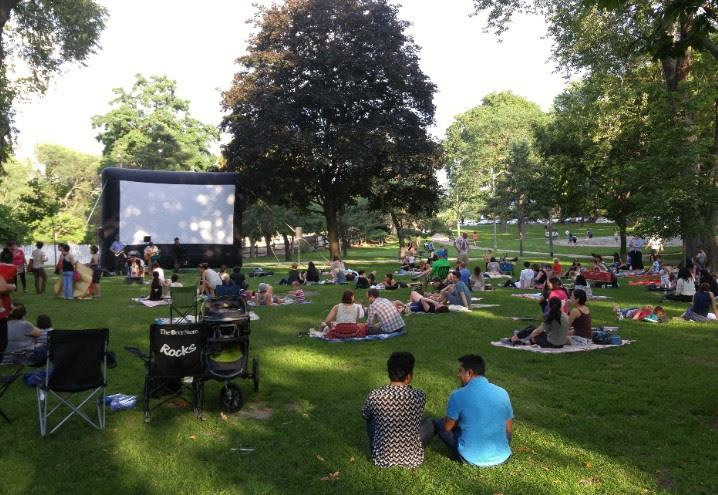 The Cabbagetown BIA is hosting a night-time screening in Riverdale Park on Wednesday July 18. The movie selection is now open for popular vote - fourteen films are on the list. Click here to check it out and support your own favourite. 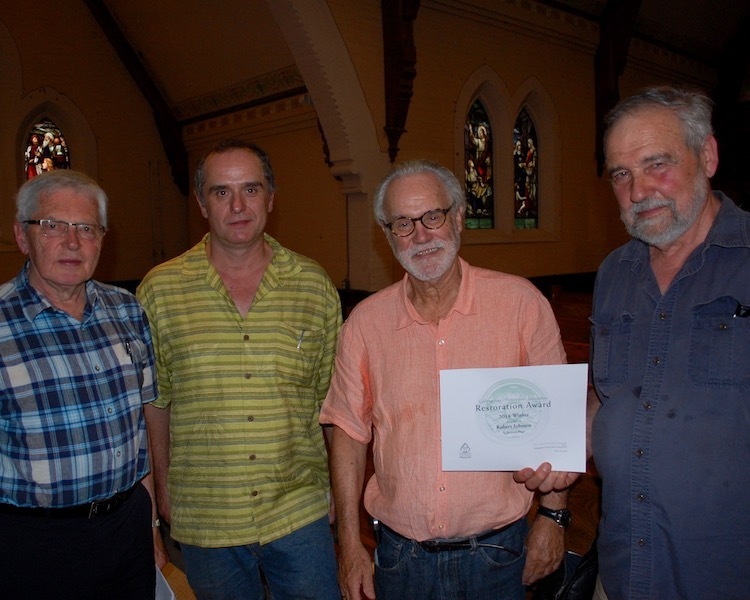 At its meeting on Wednesday May 30, the CPA announced the 2018 winner of its Peggy Kurtin Award - given to a homeowner whose renovations have contributed substantially to the local streetscape. 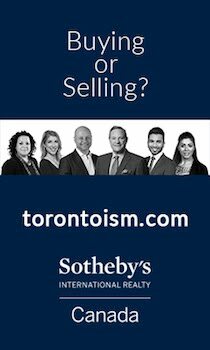 Congrats to Robert Johnson, the owner of 9 Dermott Place, and to Josef Miezajs for the high quality of his workmanship in the project. 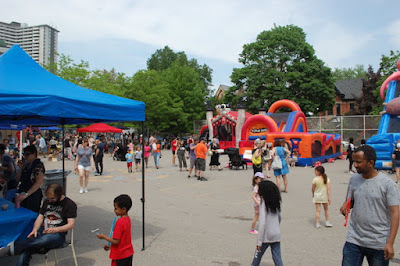 Congrats to the organizers at last weekend’s Winchester Fun Fair - it was another amazing event. Lots of activities and good food. Plenty of family fun and also time for adults to schmooze. It’s a great Spring launch for the Winchester neighbourhood. 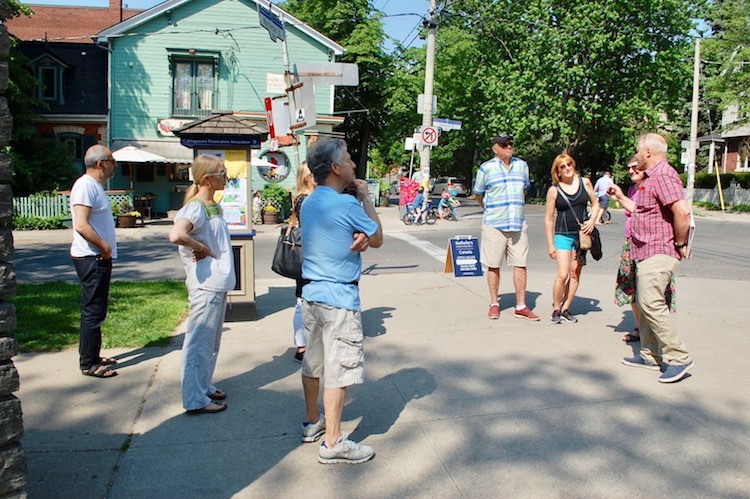 The Cabbagetown Preservation Association launched its Discover Cabbagetown walks on Sunday. The group toured the Necropolis. 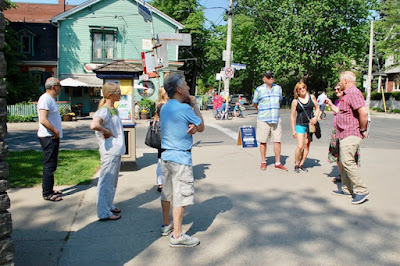 The series is an introduction for small groups to various Cabbagetown features. The next walk happens at the end of June and the series will continue through the summer months. Sydney Payne is a member of the women’s rowing team at the University of California Berkeley. 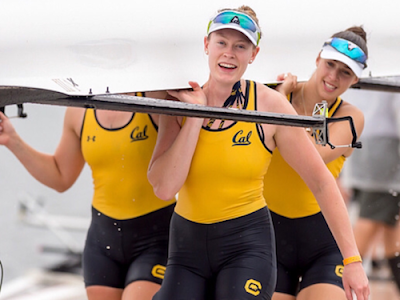 Her team has won the NCAA National Rowing Championships for the second year in a row. She’s now off to train with the Canadian National Team women’s 8. Over the years, she’s consistently been a member of winning teams - best wishes Sydney for the World Championships on July 29. 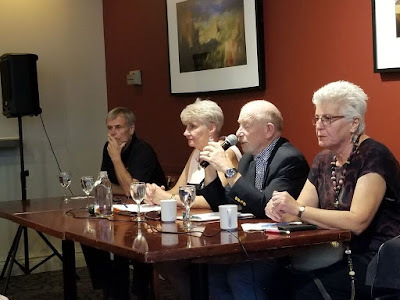 Three panelists - Gordon Cressy, Paula Fletcher and Barbara Hall - reminisced about Pam McConnell’s legacy at the end-of-season Supper Club in the Hot House last week. 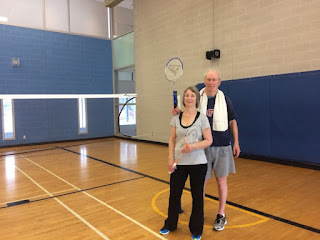 It was, apparently, a two-step warm-up for this Fall’s municipal election. 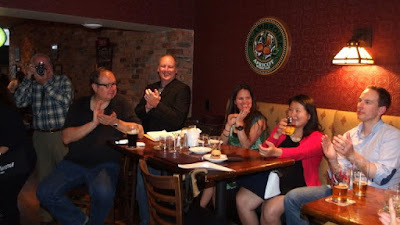 The gathering helped to pull together the downtown left wing community who remember Pam so well and want her vision to continue at City Hall. There also were a couple of small shots from Paula Fletcher about Lucy Troisi’s appointment last year. So even in the dust and confusion of the provincial election, there are glimpses of the coming municipal battles. The online story is only available to Globe subscribers. Others will need to use the May 31 paper edition. Click here to read it. On Tuesday, three people were chased through the Parliament and Winchester area until they fled into St Martin’s School. They had been involved in two separate armed robberies earlier in the morning. The school was locked down and surrounded by police officers. After a few minutes, two men and a woman surrendered without causing any harm. 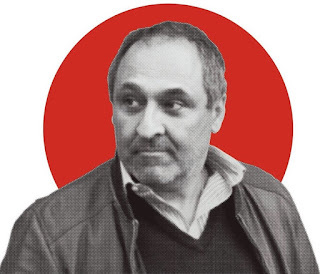 The story appeared in every major media outlet. CP24’s story has lots of detail and a video about the incident. On Wednesday May 30, four men were arrested after firing a gun in the Regent Park neighbourhood and then fleeing and crashing during a police chase. They were spotted by plain clothes officers who alerted police in cars. No one is reported to be injured. CBC News has a report on the incident. During a summer heat wave a year ago, a child was burned while sliding in Corktown Common. The slides are metal and they heat up in the open sunlight. 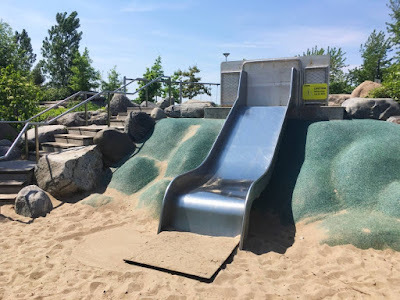 To prevent further accidents, City officials have blocked off the offending slides - a cure that the Mayor calls ridiculous. 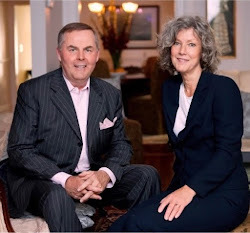 Click here to read the CBC’s story. There’s a problem with NIMBY behaviour. Somebody always remembers it and is ready, at the drop of a pin, to list all of it for you. The latest incident was sparked by Randy Brown’s concerns over signage in Riverdale Park - he wrote about it to the Fixer at the Toronto Star. 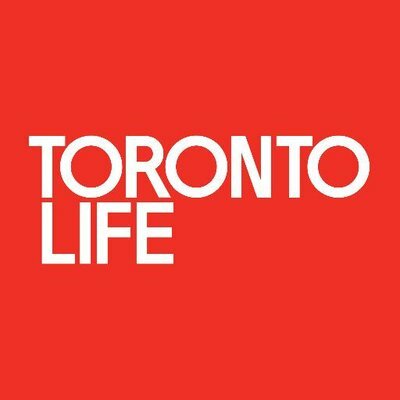 Toronto Life has just done a column about Cabbagetown’s complaints, dating back to the cluttered front yard scandal in April 2015 and continuing through Bike Share, daycare, splash pad, Cabbagetown Restaurant and the Beer Store development. They seemed to forget our upheavals over benches on Parliament and the Tim Horton’s in the Winchester. Click here to have your memory refreshed. Our garden tour returns on Sunday June 3 from 10 am to 3 pm. It’s a big event in our community. Ten gardens are open and Master Gardeners will be available to answer questions and offer tips. Carola Vyhnak wrote about Spring garden tours in the Toronto Star and highlighted the Cabbagetown event. Click here to read about it. Your ticket is also your map and guide to the gardens. Tickets are available locally at several outlets - $20. Online purchases using PayPal are also available. 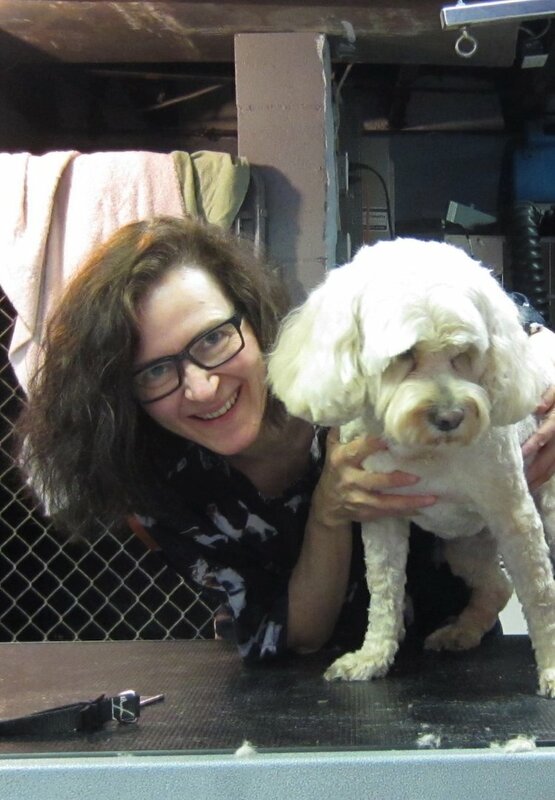 Marilyn returns to Pet Valu (240 Carlton) for her monthly appearance from 10 am to 4 pm on Saturday June 2. Bring your pet for a quick and pleasant nail trimming experience. $10. Visit her regular business, Diggity Dog Grooming, for grooming and nail trimming at the Cabbagetown Pet Clinic (239 Gerrard E). 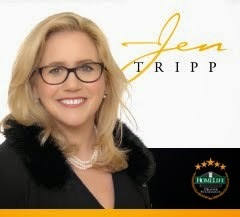 And check out her terrific Facebook page. SING! is a city-wide celebration of a cappella concerts running until Sunday June 3. Local concerts take place on the weekends in the Distillery and in Little Trinity Church (425 King). On Friday June 1 at 8 pm, Little Trinity Church will host SING! Celebrates Gospel. Three groups will perform - Resound, the U of T Gospel Choir and The Chitans. $27 - tickets and more info online here. 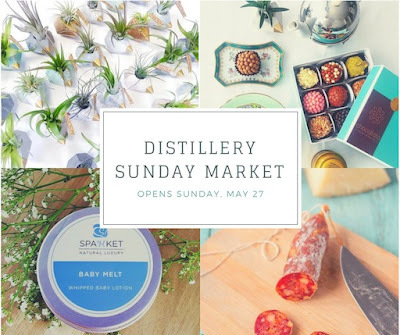 Free outdoor concerts happen on Saturday and Sunday afternoons in the Distillery. On Saturday at 4 pm, the Willows are featured and at 2 pm, special mystery guests will be introduced. 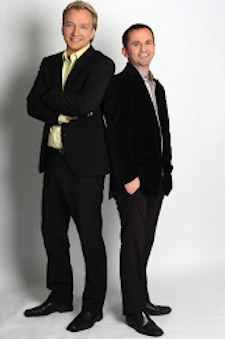 On Sunday at 2 pm, the Spadina Station and Duly Noted are on stage and at 4 pm, the Yonge Guns. For the full program, go to the SING website. 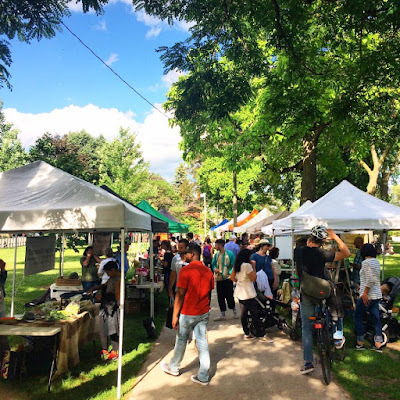 The Market starts up in Riverdale Park (Winchester and Sumach) on Tuesday June 5. It runs weekly from 3 to 7 pm. Here’s the link to its Facebook page. 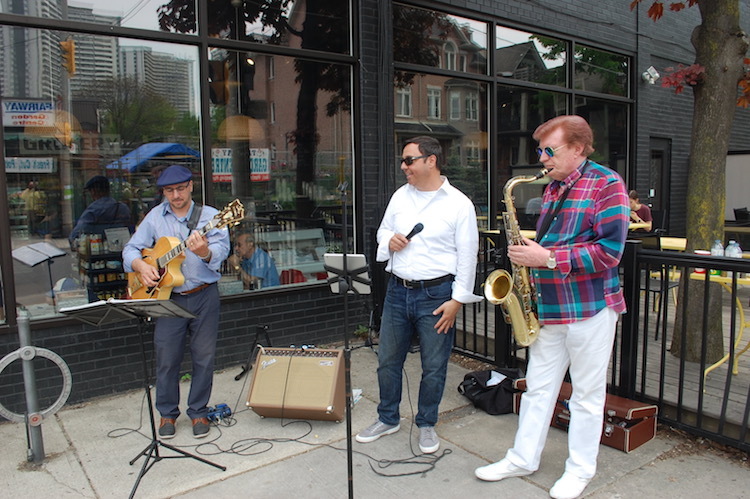 The Cabbagetown BIA’s summer street music program kicked off last weekend with the Double A Jazz Band playing at Winchester and Parliament. 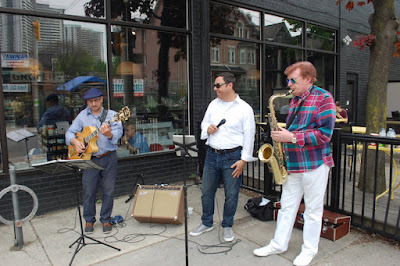 Next up - Fun Oldies at Spruce and Parliament, noon to 2 pm, Sunday June 10. The Cabbagetown Residents’ Association will hold its 2018 meeting from 7 pm on Wednesday June 13 at Stout Irish Pub (221 Carlton). There’ll be great nibblies and a complimentary drink. Lots of opportunity to meet your neighbours and catch up on local events. Brenda is wrapping up her step classes for the season - on Sunday June 3 at 11 am, Wednesday June 6 at 9:15 am and Sunday June 10 at 11 am. The last class is also the time for the group photo. She’ll be back again in September. Cabbagetown Youth Centre gym (2 Lancaster behind the Beer Store). Cabbagetown Moms & Dads are welcoming summer with a Potluck Picnic. 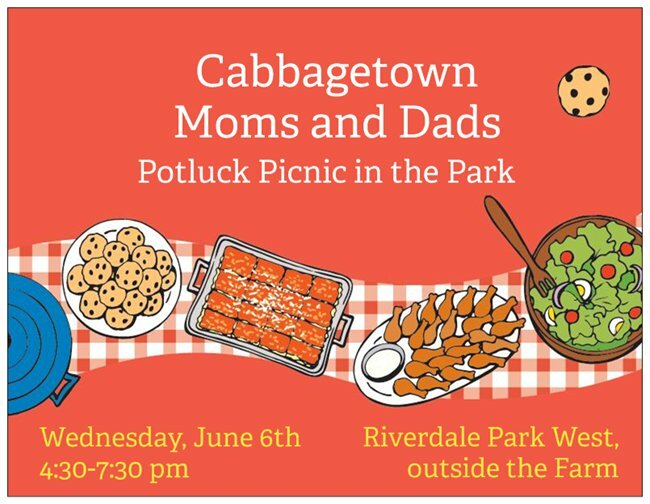 Wednesday June 6, 4:30 to 7:30 pm, Riverdale Park outside the Farm (Winchester and Sumach). Please bring a main/side/dessert to share with 8 to 10 people. You’ll need your own blanket, plates and drinks. Don’t forget to bring your kids. 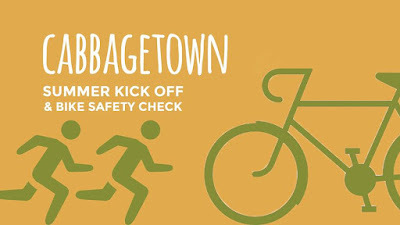 The Cabbagetown BIA is organizing a summer kick-off for Saturday June 10. There’ll be a 5K run through historic Cabbagetown and along the Don Valley from noon, a bike safety check, live music, kids’ activities, refreshments and lots of family fun. 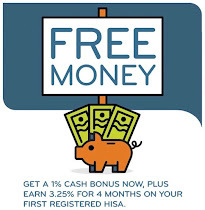 Find out more and register for the run here. Dental surgeon M F Smith promoted his services in the 1880s with this mass-produced advertising card featuring a serene winter scene. In the era before branding, printers produced such cards by the thousands. The images had nothing to do with the product or service being marketed but were meant to be eye-catching. 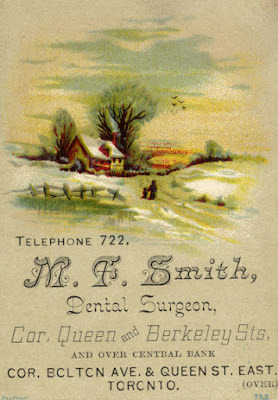 On the back of the card, Smith sold himself as a “specialist in gold filling, crowning & gold plate work” and promised clients “Progressive & Painless Dentistry.” Perhaps the injection of cocaine into the jaw helped him keep his promise. Summer Camp is a safe fun place where kids learn healthy social skills and gain positive self-confidence while they enjoy physical activities. Donors are needed - $25 pays for a whole day for one child and $125 pays for a full week. 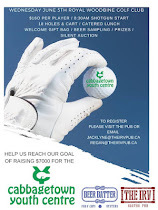 To make your gift online, click here. Please note that the games will take a summer break and resume in September - the Centre needs the space for summer kids’ programs. 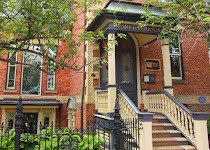 In support of the Cabbagetown Garden Tour, Kendall & Co is open from 10 am on Sunday June 3 for PayPal ticket pick-ups and last-minute tickets. The first 100 Garden visitors to Kendall & Co also receive a free loot bag with varying gifts inside. No purchase necessary. 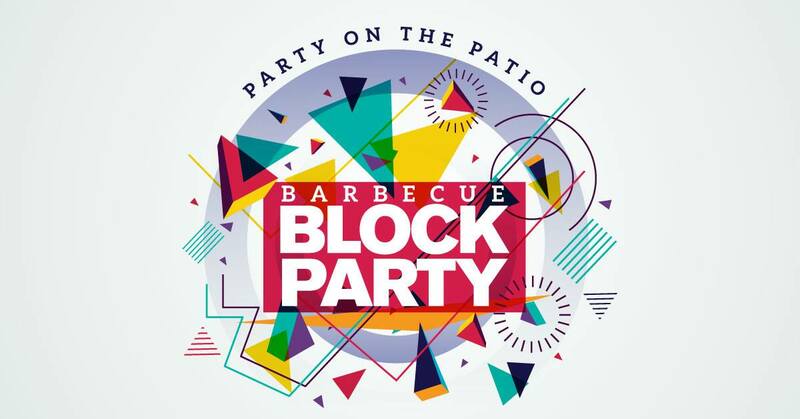 Plus, with your Garden ticket, enjoy tax free shopping on regular-priced home accessories, faux florals, birdhouses, planters and vases, garden party ware and indoor/outdoor rugs. The Renovation Sale continues with up to 70% off select items! Back again for the summer - the Distillery’s weekly marketplace with delicious empanadas, maple syrup, preserves, honey, sausages, cheeses, and more delicious artisanal treats to delight the senses! 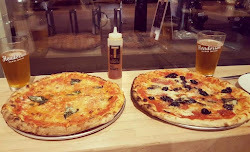 Grand opening at 3 pm on Friday, June 1. Beer Batter Fish ’n Chips (200 Carlton) is a second project for the folks at The Irv (195 Carlton). 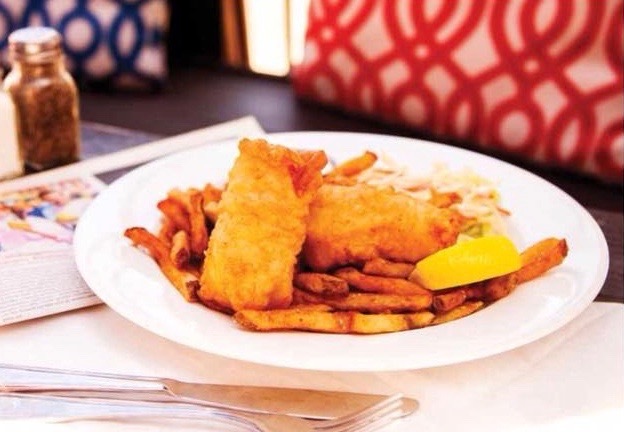 They’re planning on fresh fish, lobster rolls and oysters. Cyril is taking a trip to Montreal for the weekend so his Saturday soup is now a Friday delivery - pea, edamame and mint. Next Tuesday’s soup is carrot-rhubarb and he bets that you’ve never tried that combo before! 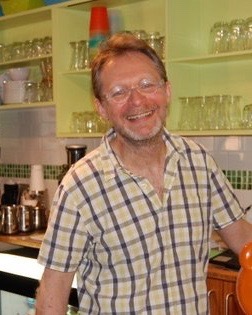 Saturday June 9, he’s serving spring minestrone. 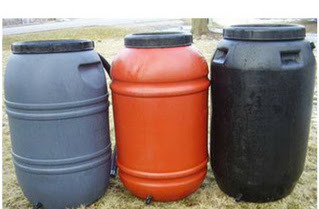 Containers are $9 each for 24 oz/700 ml. 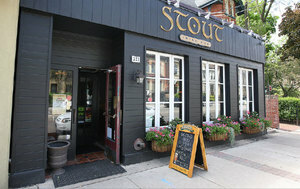 Stout (221 Carlton) is a sponsor of the Hidden Gardens & Private Spaces tour on Sunday. Drop in with your ticket and enjoy a free 5 oz taster of any craft beer on tap. Experience an insightful reading and enjoy a $5 discount on your brunch at Cranbrries (601 Parliament). June 10, 11 am, $42. 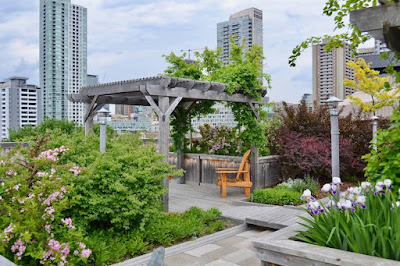 Celebrate the opening of patio season at the Dominion (500 Queen E) - Thursday June 7, 6 pm. 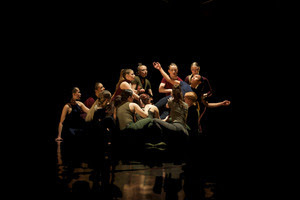 Dancers from four national professional programs across Canada join together to present Harold Rheaume’s Ion. 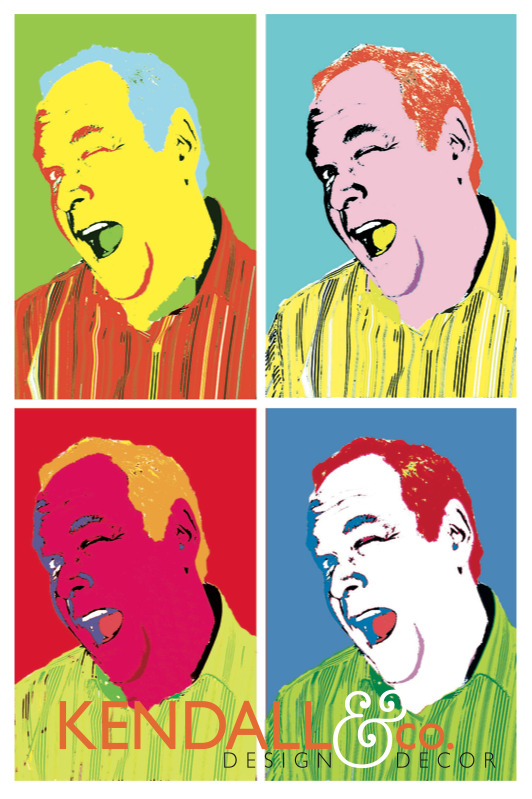 Friday June 8, 7 pm, $15 and $20. The evening begins with a pre-performance chat at 7 pm, then the performance at 8 pm followed by a post-performance reception. 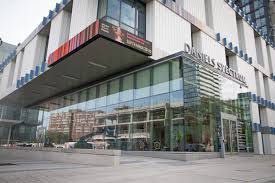 The 40 Dancer Project is one of 100 different events and workshops at the Festival 18 that’s being staged in the School of Toronto Dance Theatre (80 Winchester) from June 4 to 10. For more info, check out the Festival’s website.